Bobby Larsen is completing an Advocacy Fellowship in the Holland Fellowship Program. 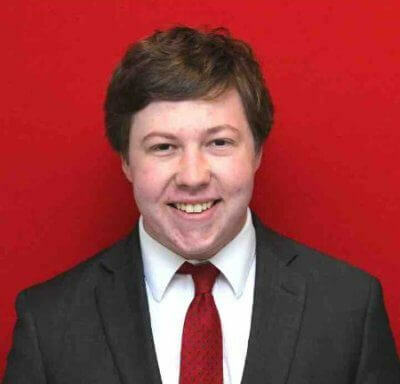 My name is Bobby Larsen and I am a senior at the University of Nebraska-Lincoln, a lifelong Nebraskan and the first Holland Advocacy Fellow for the Holland Children’s Movement. Ever since I was in sixth grade I have had a strong interest in politics and public service. Over the past few years, I have been able to begin fulfilling this passion by working for the Nebraska Legislature for the past three legislative sessions as a bill room staffer my freshman year and then as a legislative page my sophomore and junior years. I also interned in the office of State Senator Mike McDonnell this past semester and previously interned for Retain A Just Nebraska and Heath Mello’s campaign for mayor while volunteering for a plethora of other local campaigns. Yesterday was my first day with the Holland Children’s Movement and I was fortunate to be able to dive right in. I accompanied our Vice President of Public Policy, Sarah Ann Kotchian, to meetings with state senators regarding legislation the Holland Children’s Movement plans to support during the 2018 legislative session. I was happy to get to return to the state capitol where I have had so many great opportunities throughout the past three years. This year will be a short session, and I will be kept busy meeting with senators to advocate for our bills, attending committee hearings, working with our partner organizations, doing research on past and present bills, helping with social media and more. I am eager for the opportunity to advocate for policies that will have a long-term impact on the children of this great state.